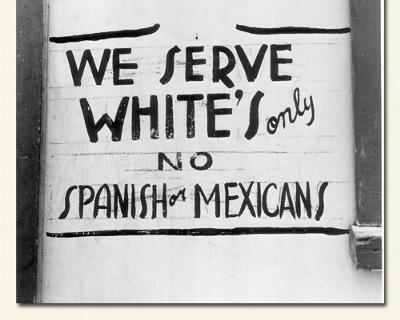 In Texas, prejudice and acts of discrimination had reached such extreme proportions that Mexican Americans began organizaing to defend themselves. 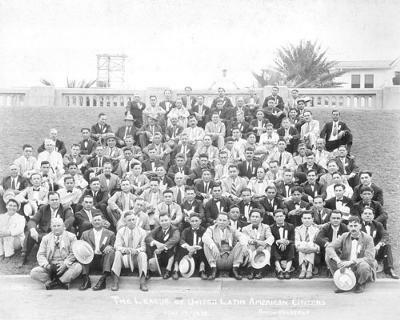 There were three main organizations: The Order of the Sons of America with councils in Somerset, Pearsall, Corpus Christi, and San Antonio; The Knights of America in San Antonio; and The League of Latin American Citizens with councils in Harlingen, Brownsville, Laredo, Penitas, La Grulla, McAllen, and Gulf. Temporary rules were drawn up until a constitutional convention could be held. 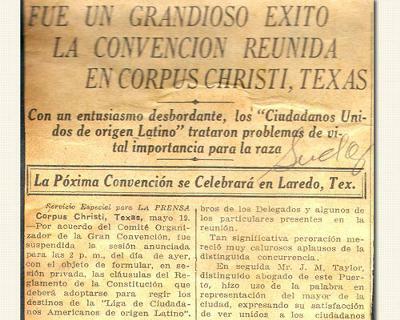 A constitutional convention was to be held on 18, and 19 May 1929, in Corpus Christi, Texas, and an executive committee was established to administer LULAC until the convention. The executive committee included Ben Garza as chairman, M.C. Gonzalez as Secretary, J.T. 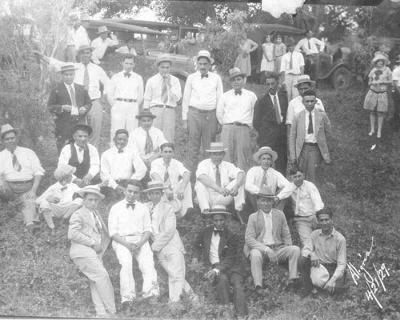 Canales and J. Luz Saena as committee members. 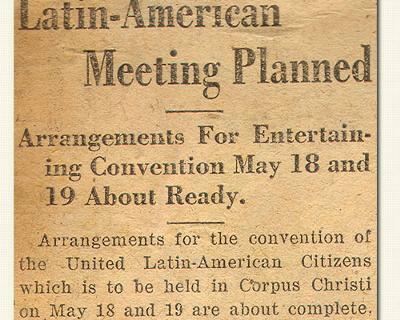 On May 18, 1929, at the Allende Hall in Corpus Christi, Texas, Ben Garza called the first LULAC General Convention to order. The assembly promptly adopted a constitution proposed by J.T. Canales and based upon the one used by The Knights of America. Ben Garza was elected President General, M.C. 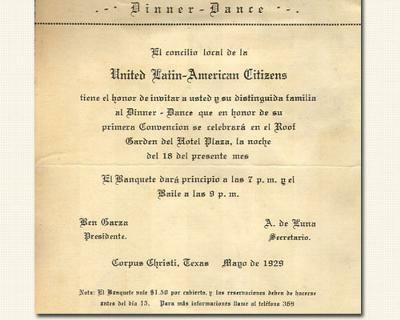 Gonzalez was elected Vice President General, A. DeLuna was elected Secretary General, and Louis C. Wilmot of Corpus Christi, Texas, was elected Treasurer General. These officers guided a new organization that faced prejudice and skepticism.